Episode 34: Q&A: What is Direct Primary Care? As Direct Primary Care (DPC) continues to grow, more and more companies have set up shop with the name ‘DPC.’ While most DPC practices consist of solo doctors who said goodbye to insurance and started charging a monthly fee, larger companies have now joined the space of ‘DPC.’ Companies offering up-front telemedicine with a back-up (fee-for-service) doctor or management groups offering to manage multiple locations and run a clinic via a franchise model are some of the many examples of new models branding themselves as ‘DPC.’ These models are quite different from the solo doc who hung out a shingle and charges a monthly fee. In this Q&A, Dr Roussel discusses the question: What is Direct Primary Care? Is there a strict definition? If so, what is it? If not, how can one tell a ‘true’ DPC practice from a lookalike? [1:00] Over the past months as DPC has continued to grow in support and popularity, we’ve witnessed a number of organizations provide clinical care with the name “DPC” that have led many in the DPC community to question what being a DPC practice means? [1:50] These models are all quite different from the DPC practices like mine and others who run small, independent or maybe 2-3 partner groups. Our practices have more of a homey environment, small-town doc sort of feel to them. [2:03] While there’s nothing inherently wrong with having a larger group run a DPC practice, if the ‘Direct Primary Care’ as a model gets lost amidst a fray of corporate, government or bureaucratic interests, the entire meaning of the word is lost. This makes it hard for the public to sort out the wheat from the weeds. [2:30] But where is the line? At what point is corporate or government involvement “too much” for DPC? [2:36] To answer these, we really need to answer the more fundamental question, what is Direct Primary Care? Not bill any third party. The per visit charge must be less than the monthly charge. This is certainly a reasonable definition. [3:05] Some doctors, however, including myself, may find such a definition of DPC to be too rigid to account for the variations in practices out there. [3:13] What about the ones that take occasional one-time visits? What about the ones that have employer contracts with small businesses? If you examine closely few practices are probably 100% pure according to this definition. Most can agree, however, that some things simply aren’t DPC. [3:29] A large insurance company contracting with a doctor, for instance, to pay a capitated fee is unlikely to be considered DPC. On the other hand a small employer, say a group of plumbers, who pays the monthly fee for DPC employees, that’s probably not uncommon for DPC practices. [3:47] Where is the line? [4:04] That’s where I think the core of DPC lies, in the minimization of third party involvement in the doctor patient relationship. What this means in terms of particulars is certainly up for discussion. I would love to hear your thoughts on what is direct primary care. Nonetheless, this is a discussion we need to have, both amongst DPC doctors, and with the public. Trading for healthcare is no longer a thing of the past with DPC. Without third parties negotiating how and when payment occurs, DPC allows for a richer variety of opportunities to barter for health care. In Episode 32, Dr Roussel continues the discussion on barter for health care with Mr Adam Tidwell of the PartnersOne organization. In the interview they discuss how the trade economy works with PartnersOne and how this can be used to barter for health care. Finally, they discuss how trade promotes community amongst small business owners and benefits the local economy. [1:44] So, for those of our listeners who are not familiar with the trade process, can you tell us how trade credit works? [4:22] Any particular one’s gravitate to/away from trade? [5:57] Any services one can’t buy or sell on trade? [6:35] How does trade benefit a business over taking cash? [7:59] When it comes to healthcare we’ve now had experience offering DPC membership for trade for our practice. And while we may be the only DPC practice on the network, as far as I know, we’re not the only healthcare provider. How has trade been able to allow members to barter for health care when they may not otherwise be able to get access so affordably? [10:14] Today, much of our economic activity is extremely corporatized. Dollars are handled by large corporations often times with little responsibility to the local community. Can you tell us how trade changes that and brings dollars back to the local community? 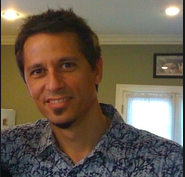 Mr Adam Tidwell is a member of the executive team in the PartnersOne organization. He is a native of Baton Rouge, Louisiana and a strong supporter of small business growth through barter and trade. For the past decades, bartering has become nearly obsolete as a form of payment for healthcare services. With the advent of managed care, nearly 90% of medical expenses are paid for now by third parties–either government or insurance. With DPC however, the possibility to barter again for medical care has become a reality. In Episode 31, Dr Roussel interviews Mr Joey Dupont with the 225 Trade Organization about bartering for healthcare. The 225 Trade Organization is a group of over 800 small businesses within the 225 area code that fosters a barter economy amongst its members. In the interview they discuss how the barter economy works, how trade can be used to facilitate healthcare and how trade benefits small businesses. [1:42] So, first of all, the idea of a trade network is quite foreign to many where trade/barter has sort of been lost as a way of paying for goods and services. Can you tell us how trade works for the trade network? [03:15] What kind of businesses are part of the network? Any particular one’s gravitate to/away from trade? [04:19] How does trade benefit a business over simply taking cash? [06:10] When it comes to healthcare we’ve now had experience offering DPC membership for trade for our practice. And while we may be the only DPC practice on the network, as far as I know, we’re not the only healthcare provider. How has trade been able to provide healthcare services to its members who may not be able to otherwise get access so affordably? [11:04] Today, much of our economic activity is extremely corporatized. Dollars are handled by large corporations often times with little responsibility to the local community. Can you tell us how trade changes that and brings dollars back to the local community? Mr Joey Dupont is the head of the 225 trade organization, an organization in Baton Rouge that promotes bartering for healthcare, services, food, entertainment, and nearly any good or service that is bought or sold. In Episode 30, Dr Roussel discusses his own clinic’s response to Medicare’s RFI on a DPC & Medicare collaboration. In particular, he expresses openness to working with Medicare but also a hesitancy about allowing government to be payor of healthcare services. In April of 2018, CMS/CMMI issued a request for information (RFI) about incorporating DPC into Medicare as a covered service. The Direct Primary Care Coalition, which has been largely responsible for crafting DPC friendly legislation since the birth of the model, has been supportive of DPC integration into Medicare as a covered benefit. In Episode 29, Mr Jay Keese, Executive Director of the DPCC, elaborates on the history of the RFI, its context in the political climate and the DPCC’s response to the RFI. In particular he discusses the DPCC’s openness to working with Medicare while at the same time expressing concerns about how the program is implemented, emphasizing the need for the program to be free from many of the burdens of present-day Medicare fee-for-service payment. In April 2018, Medicare issued a request for information (RFI) about incorporating DPC into Medicare as a covered service. While such a move offers the potential for patients in Medicare to enroll in DPC practices and for doctors who care for Medicare patients to get paid by Medicare, many DPC doctors remain hesitant about allowing government to step in as a payor of DPC services. The beauty of DPC, say many doctors, lies in the minimization/elimination of third parties, leading to a more rich, direct relationship between doctors and patients. In Episode 28, Dr Roussel talks with Dr Julie Gunther (Vice President) and Dr Ryan Neuhofel (President) of the Direct Primary Care Alliance (DPCA), a grassroots organization devoted to supporting DPC doctors. In the interview they discuss the challenges of allowing Medicare to cover DPC while at the same time emphasizing the importance of DPC doctors keeping up the voice in the political process. In September of 2017, the Center for Medicare and Medicaid Services (CMS) and the Center for Medicare and Medicaid Innovation (CMMI) issued a request for information (RFI) geared at pursuing a ‘new direction’ when it came to Medicare payment. In particular, they asked how they could promote more consumer-driven, competitive health plans within the Medicare system. In response to this RFI, CMS/CMMI received over 1000 responses, but they took particular interest in the responses from within the DPC community. As a result, CMS/CMMI issued a follow-up RFI in April of 2018 expressing strong interest in covering DPC services within the scope of Medicare. In this episode, Dr Roussel discusses the history of the RFI, what the RFI entails and its importance to the DPC community and the future of DPC. Atención Directa Primaria (ADP), conocido en inglés como “Direct Primary Care,” es una nueva manera de cuidado médico en que los pacientes paguen al doctor un precio fijo (mensual) para servicios de atención primaria sin la necesidad de cualquier seguro médico. En Episodio 26, que es el único episodio del podcast que está completamente en Español, Dr Roussel entrevista a las doctoras Kissi Rosabel Blackwell & Dalian Caraballo sobre ADP. En la entrevista, las doctoras hablan de su experiencia dando cuidado médico bajo el modelo de ADP, y cómo han podido servir a la comunidad hispana haciendo este nuevo modelo. [03:27] Entonces, ¿puedes contarme sobre tu (s) oficinas (s) de atención directa primaria? ¿Dónde están cuándo comenzaron? [03:52] Hábleme de la comunidad hispana en su área. [04:47] ¿Cómo se comunicó con la comunidad hispana? [05:40] En muchas áreas de los EE. UU., La comunidad hispana lucha para obtener acceso a la atención como resultado de accesso a cuidado medico. en gran parte debido a la costo pero también por el lenguaje. ¿Cómo han podido contestar a estos problemas? [08:42] Según su experiencia, ¿como pueden los doctores de atención directa primaria comunicar su mensaje a la comunidad hispana? La Dra. Kissi Rosabel Blackwell es médica familiar y fundadora de Clarity Direct Care en Wichita Falls, TX. Originaria de Nicaragua, asistió a la escuela de medicina en Texas en UT Southwestern antes de instalarse en Wichita Falls, donde ahora tiene su práctica de atención directa primaria. La Dra Dalian Caraballo es de de atención directa primaria y en YourFamilyMD en Miami, FL. Nacido en Puerto Rico, completó su formación médica en Ohio antes de mudarse a Florida, donde ahora tiene su oficina de atención directa primaria. Traditionally the Hispanic community in the US has been considered underserved when it comes to healthcare. There are many diseases for which hispanic health disparities is a reality. With DPC however, many in the hispanic community have been able to get medical care due to its affordable pricing and added ability to foster doctor-patient trust, which has been a huge barrier in the community. In Episode 25, Dr Roussel interviews Dr Kissi Rosabel Blackwell of Wichita Falls, TX and Dr Dalian Caraballo of Miami, FL about their experience providing healthcare to hispanic patients via DPC. As Dr’s Kissi and Dalian note, many hispanic patients avoid going to the doctor due to requirements or insurance, high cost and mistrust of the system. With DPC however, these barriers are leveled, reducing many of the hispanic health disparities that have adversely affected the community. In the interview they discuss how they’ve been able to deliver high-quality yet affordable care to the hispanic community via DPC. [02:05] So to start out, can you tell me about your DPC practice(s)? Wheere are they and when did you start? [02:40] Tell me about the Hispanic community in our practice area. [03:24] How have you reached out to the Hispanic community? [04:44] In many areas of the US, the Hispanic community struggles to get access to care as a result of hispanic health disparities. in large part because of affordability but also because of language. How have your practices been able to address those issues? [10:16] Based on your experience, can you give me your thoughts on ways DPC doctors can reach out to the Hispanic community? Dr Kissi Rosabel Blackwell is a family medicine doctor and founder of Clarity Direct Care in Wichita Falls, TX. 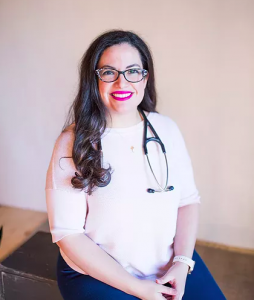 Originally from Nicaragua, she attended medical school in Texas at UT Southwestern prior to settling in Wichita Falls to where she has now started her DPC practice. Dr Dalian Caraballo is a direct primary care doctor and founder of YourFamilyMD in Miami, FL. 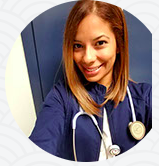 Originally from Puerto Rico, she completed her medical training in Ohio prior to moving to Florida where she now runs her DPC practice.